Starting at age 16, Henry Lewis was the first African American member (double-bassist) of the Los Angeles Philharmonic Orchestra (1948-1954). In 1959, Henry Lewis founded the String Society of Los Angeles. In 1963 the group toured Europe under the auspices of the U.S. State Department. The String Society of Los Angeles was the predecessor of the Los Angeles Chamber Orchestra. However, Henry Lewis is not found on the Los Angeles Chamber Orchestra website. On February 9, 1961, Lewis became the first African American to conduct a major American orchestra when he took the L.A. Philharmonic’s podium after the scheduled guest conductor fell ill. The program included Dvorak’s Fourth Symphony. Soprano Marilyn Horne, whom he had married the year before, performed arias from Verdi and Beethoven. He was appointed assistant conductor under Zubin Mehta, a post he held from 1961-1965. However, Henry Lewis is not found on the Los Angeles Philharmonic website. Maestro Lewis briefly served as musical director of the Los Angeles Opera Company in 1965. On Feb. 15, 1968, Maestro Henry Lewis was named director of the New Jersey Symphony, becoming the first Black conductor and music director of a major American orchestra. Maestro Henry Lewis name is found on the New Jersey Symphony website. In 1965, he made his debut with the Metropolitan Opera during a gala at Lewisohn Stadium. 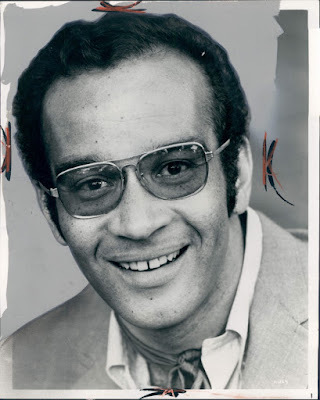 On his fortieth birthday in October of 1972, Maestro Henry Lewis became the first African American to conduct New York’s Metropolitan Opera in a production of La Bohème. From 1965-1977, Maestro Henry Lewis conducted the Met 139 times and his name is found on the Metopera database http://archives.metoperafamily.org/archives/frame.htm. Maestro Henry Lewis was born in Los Angeles.